Improve knowledge sharing between physicians so that patients get high quality care wherever they are treated. We help physicians get answers to questions where there is no clear answer in guidelines or published research and expert opinion is necessary. All answers are indexed and searchable so that every physician can quickly access expert knowledge to provide their patients with high quality care. 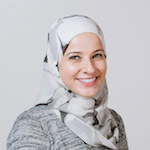 Dr. Nadine Housri is an Assistant Clinical Professor at Yale. She focuses on the community side of theMednet to bring physicians together to discuss topics important to patient care. Nadine's research background is in institutional outcomes disparities. She has published over a dozen peer-reviewed publications in major journals such as Annals of Internal Medicine, Annals of Surgery, and PLoS Medicine. 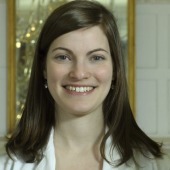 Nadine completed her Radiation Oncology residency at Rutgers Robert Wood Johnson Medical School where she was awarded the Roentgen Research Award and the Robert Wood Johnson Medical School Dean’s Research Award, and served as Chief Resident for her last 2 years of residency. Additionally, she completed an SRS/SBRT fellowship at Yale. Prior to residency, she was a Clinical Research Training Program (CRTP) Fellow at the National Institutes of Health. Nadine graduated with Research Distinction from the University of Miami Miller School of Medicine. Her clinical focus is thoracic oncology and stereotactic radiotherapy. Samir focuses on the technology side of theMednet trying to build the best experience for creating and consuming content on theMednet. Samir has spent the past 15 years in the private sector focused on digital media and innovation. His interests lie in building platforms that connect people and information. He has worked with many well-known companies including Major League Baseball, The New York Times and EMI Music. At MLB.com Samir was responsible for the design and development of key components of Gameday, MLB.com's system for broadcasting live scores and stats to millions of baseball fans each day. At EMI Music, Samir launched a video syndication platform which allowed EMI to publish music videos online. 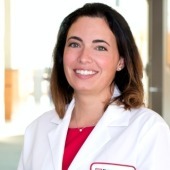 Dr. Lindsay Burt is an Assistant Clinical Professor at the University of Utah School of Medicine, Huntsman Cancer Institute where she specializes in CNS, Gyn, Peds, Breast, Skin and Lymphoma. She attended the University Of Utah School Of Medicine where she graduated in 2011 and served as co-president for the student body. She completed her residency in radiation oncology at the University of Utah. She is passionate about leadership, promoting education and research. She served as the chair of the Association of residents in Radiation Oncology (ARRO) Executive committee while she was resident and was a member of many committees at the University of Utah. She is currently a member of a number of ASTRO subcommittees and is actively involved in clinical research. 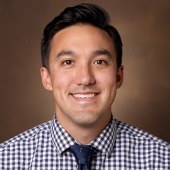 Dr. Joseph Merriman is a third year and Chief Hematology/Oncology fellow at Vanderbilt University. He completed medical school at the University of Tennessee and Internal Medicine Residency training at the University of Utah. His clinical interest is in GU and melanoma with a focus on immunotherapy and immunotherapy related adverse events. He is additionally involved in clinical outcomes research and is passionate about medical education. theMednet Moderators are responsible for maintaining quality and professionalism on the platform by moderating questions and engaging key opinion leaders in their field. Each moderator has been invited to the program because of their commitment to medical education and involvement in their specialty. 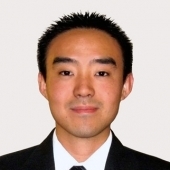 Dr. David Ly is a clinical Assistant Professor in radiation oncology at University Hospitals. He completed his medical training at the Cleveland Clinic Lerner College of Medicine and his residency at the University of Utah, Huntsman Cancer Hospital. He completed a research fellowship at the National Institutes of Health. Dr. Ly has published in the fields of gynecologic, breast and brain malignancies. He is the radiation oncology moderator for breast cancer. Dr. John Lucas is currently an assistant faculty member at St. Jude Children's Research Hospital. He completed his radiation oncology residenct at Wake Forest University in 2015 after a preliminary medicine year at UNC Chapel Hill. He completed his Medical Doctorate at the Medical University of South Carolina in Charleston, SC where he also obtained a masters in Clinical and Translational Research. His current research interests are novel clinical trial designs and patient risk stratification methods. The application of these methods has yielded several web-based prediction tools which can be applied to clinical decision making. 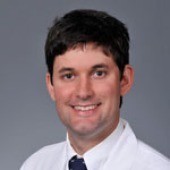 Dr. Lucas is the pediatric malignancy site moderator for radiation oncology. 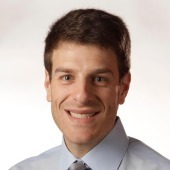 Dr. Brandon Mancini is a radiation oncologist at the West Michigan Cancer Center in Kalamazoo, MI. 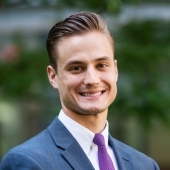 He is originally from Southeast Michigan, attending the University of Michigan (Ann Arbor, MI) for his undergraduate studies and Wayne State University School of Medicine (Detroit, MI) for medical school. He formerly served as the Chair of the Association of Residents in Radiation Oncology (ARRO) Executive Committee and was a Resident Representative on several ASTRO committees. Dr. Mancini is the skin cancer, melanoma, and palliative moderator for radiation oncology. Dr. Shane Llyod is an assistant professor of radiation oncology at the University of Utah School of Medicine and Huntsman Cancer Institute. His primary clinical interests are in the radiotherapeutic management of gastrointestinal, head and neck, genitourinary, and skin cancers. His main research interests are in comparative effectiveness, clinical trials, and health services. Dr. Lloyd is the GI site moderator for radiation oncology. 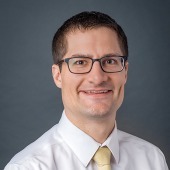 Dr. Christopher Wilke is an Assistant Professor of Radiation Oncology at the University of Minnesota and specializes in the treatment of head and neck and CNS malignancies. He obtained his MD/PhD degrees in 2011 from the University of Minnesota. 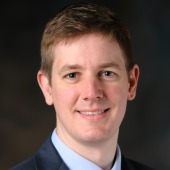 He completed his radiation oncology residency and the University of Minnesota followed by a fellowship in Advanced Radiation Oncology at the MD Anderson Cancer Center. His research interests include advanced imaging techniques and 3D printing applications in radiation oncology. Dr. Wilke is the neuro-oncology site moderator for radiation oncology. 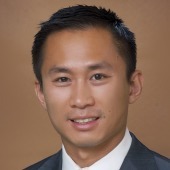 Dr. Jason Ye is an Assistant Professor in Radiation Oncology at USC Keck School of Medicine. 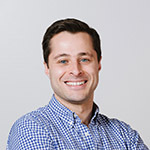 He completed his residency at New York Presbyterian/ Weill Cornell Medical Center and his MD at Boston University’s Accelerated 7-Year BA/MD program. At NYP/WC, he started the department's first medical student education curriculum as part of the multi-institutional Radiation Oncology Education Collaborative Group. Dr. Ye is the Head and Neck and Genitourinary site moderator for radiation oncology. 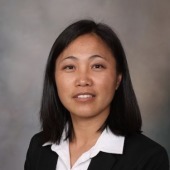 Dr. Randa Tao is an Assistant Professor in the Department of Radiation Oncology at the University of Utah Huntsman Cancer Institute where she specializes in Lymphoma and GI malignancies. She received a BS from the University of Michigan and an MD from Mount Sinai School of Medicine. Prior to residency, she was a Howard Hughes Medical Institute Fellow at the National Institutes of Health. She completed her radiation oncology residency at MD Anderson Cancer Center. Her research interests include clinical trials and expanding the role of radiation therapy for the treatment of primary liver tumors. Dr. Tao is the lymphoma site moderator for radiation oncology. 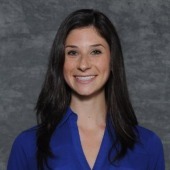 Dr. Rebecca Levin-Epstein is currently a PGY-3 resident at UCLA. She is originally from Oakland, California. She completed her undergraduate degree with dual majors in Biopsychology and Spanish Literature at Tufts University. 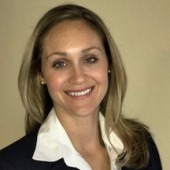 She earned her MD from UCLA, where she was a Junior AOA inductee. 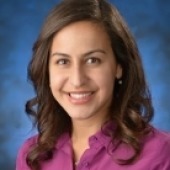 She completed her intern year at Cedars-Sinai Medical Center, and returned to UCLA for radiation oncology residency. She is active in clinical research involving brain metastases, GI malignancies, MR-guided radiation therapy, palliative radiation, and treatment toxicity. 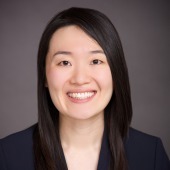 At UCLA she is also part of the Clinical Informatics program, in which she builds features within the electronic health record system to improve patient safety, data quality, and clinic workflow. Dr. Kelly McCann is faculty at UCLA Medical Center. She majored in Biomedical Engineering at Rice University, was part of the Medical Scientist Training Program at Stanford University to earn a PhD in Cancer Biology, and completed residency in Internal Medicine at Oregon Health and Science University. She completed Hematology/Oncology fellowship at UCLA in 2017. 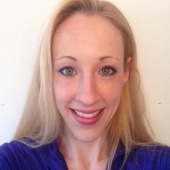 She is a member of Dr. Dennis Slamon’s Translational Oncology Research Laboratory. Dr. McCann’s research interests are in the genetic and molecular biology of cancer for the development and use of targeted therapies. She and Sara Hurvitz recently published a textbook on treatment of HER2+ breast cancer. 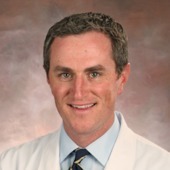 Dr. McCann is the gynecologic, head and neck, and sarcoma site moderator for medical oncology. 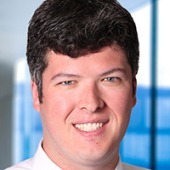 Dr. Spencer Bachow is an oncologist at Lynn Cancer Institute and Affiliate Assistant Professor of Medicine at Charles E. Schmidt College of Medicine Florida Atlantic University. 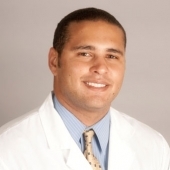 He recently completed his fellowship in hematology and medical oncology at Columbia University Medical Center/Herbert Irving Comprehensive Cancer Center in New York. Originally from Florida, he received his undergraduate and medical degrees from the University of Florida. During medical school, Dr. Bachow worked at the NIDDK at the NIH via a Pre-Doctoral Intramural Research Training Award. He completed a residency in internal medicine at the Hospital of the University of Pennsylvania in Philadelphia. He is primarily interested in hematologic malignancies and has an active research portfolio in chronic lymphocytic leukemia. Dr. Bachow is the leukemia and lymphoma moderator for medical oncology. Dr. Dwight Owen is an Assistant Professor of Internal Medicine in the Division of Medical Oncology at Ohio State University Comprehensive Cancer Center. His research and clinical focus is thoracic oncology, and understanding mechanisms of secondary resistance to targeted and immune-based therapies. Dr. Owen is the thoracic malignancies moderator for medical oncology. 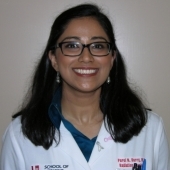 Dr. Maitri Kalra is a Hematologist/Oncologist working at Indiana University Health Ball Memorial Hospital. She completed her medical school from India and her Internal Medicine residency and Hem/Onc fellowship at Indiana University. She is the lead of the Precision Genomics Program at IU Health Ball. Dr. Kalra is the NCI-CCC Tumor Board Program Manager. 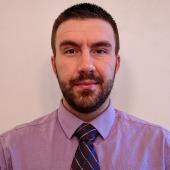 Dr. John Baird is currently a 3rd year hematology/oncology fellow at Stanford. Originally from Arkansas, he received his undergraduate degree in biomedical engineering from Washington University in St. Louis, and his medical degree from University of Arkansas for Medical Sciences. During medical school, Dr. Baird worked at NIDDK and NHLBI at the NIH as part of the intramural Clinical Research Training Program. He then completed a residency in internal medicine at the Hospital of the University of Pennsylvania in Philadelphia. He is primarily interested in hematologic malignancies and is involved in clinical trials for myeloproliferative neoplasms and myelofibrosis. Dr. Baird is the Bone Marrow Transplant, Myelodysplastic Syndromes, and Myeloma moderator for medical oncology. 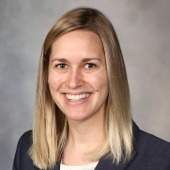 Dr. Christie Hancock is a third year hematology/oncology fellow at Advocate Lutheran General hospital in the suburbs of Chicago. She grew up in Memphis, Tennessee and went to Middle Tennessee State University where she majored in biology. She went to medical school at Quillen College of Medicine at East Tennessee State University and did her residency at Rush University Medical Center in Chicago. She felt so inspired everyday by the patients on the malignant hematology service that she decided to go into hematology-oncology. She is one of few in that she enjoys both hematology and oncology equally. Dr. Hancock is the breast cancer site moderator for medical oncology. 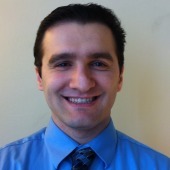 Dr. Bejjani is currently a PGY-5 Hematology/Oncology fellow at UCLA. He completed medical school at SUNY Buffalo followed by Internal Medicine residency at UCLA. He is currently working with in a translational oncology research lab for hepatobiliary malignancies. He is interested in both Hematology & Oncology with a focus on medical education. Dr. Devika Rao is a third year Hematology/Oncology fellow at Montefiore Medical Center/Albert Einstein College of Medicine, NY. She completed medical school in India and Internal Medicine Residency training at Jacobi Medical Center/Albert Einstein College of Medicine, NY. 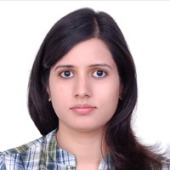 She has an interest in solid tumor biology with focus on GI malignancies. She is presently working in a basic science laboratory on a translation project involving colorectal cancer and immunotherapy. With passion for mentorship and medical education, her goal is to grow as a clinician-educator. Dr. Rao is the melanoma site moderator for medical oncology. 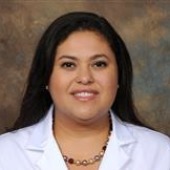 Dr. Bustamante Alvarez is a Hematology and Medical Oncology fellow at Ohio State University. He is originally from Venezuela where he completed medical school at Central University of Venezuela. 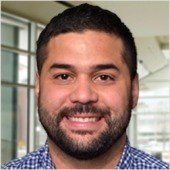 Prior to starting residency, he studied the outcomes of Venezuelan patients with NSCLC harboring EGFR mutation and their response to first generation TKI vs platinum duplets. He did his Internal Medicine Residency at Albert Einstein Medical Center in Philadelphia where he also served as a chief resident for a year. He completed a Master in Molecular Oncology at the CNIO/CEB (National Center for Oncologic Research/ Center of Biomedical Studies) in Madrid, Spain. Dr. Bustamante Alvarez is currently researching liquid biopsies in NSCLC patients. 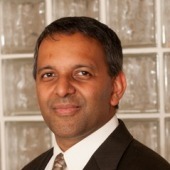 He also currently serves as the Ohio SAtate University Thoracic Oncology NCI Tumor Board Lead for the mednet.org. 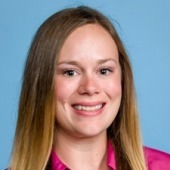 Dr. Diana Pearre is a gynecologic oncology fellow at the University of California, Irvine (UCI). She grew up in Los Angeles and went to medical school at UCI. After completing her training at Johns Hopkins in Gynecology & Obstetrics she returned to her alma mater to continue pursuing her career in gynecologic oncology. Her research interests include uncovering the mechanism and treatment for ‘chemobrain’ as well as examining fertility-preserving options for treating gynecologic cancers. theMednet Associates are responsible for helping drive dialogue on theMednet by highlighting important research, topics of discussion, and best practices from their respective institutions. Each Associate has been invited to the program because of their commitment to medical education and a desire to advance their field through information technology. 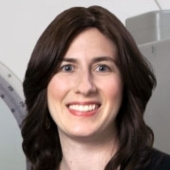 Dr. Shana Coplowitz is an assistant professor at the Albert Einstein College of Medicine and practices at Cornwall Radiation Oncology Services in Cornwall, NY, an affiliate of Montefiore Medical Center. Prior to this she was in practice at St. Anthony’s Medical Center in St. Louis, MO. Shana attended the University of Pennsylvania where she majored in European History. Originally from Ft. Lauderdale, Fl, she obtained her medical degree from the University of South Florida College of Medicine. She completed her residency at New York Presbyterian/Weill Cornell Medical Center in 2013. Dr. Barry received her undergraduate degree at Wellesley College. She returned to her hometown to attend medical school at the University of Louisville and stayed on for residency in radiation oncology. She is currently an Assistant Professor of Radiation Oncology at Rush University Medical Center in Chicago, IL where she focuses on the treatment of breast cancer. She is active in clinical research in breast cancer. She maintains a strong interest in resident education, mentorship, and studying gender disparities in medicine. In her free time, she enjoys hiking, traveling, and exploring new restaurants. 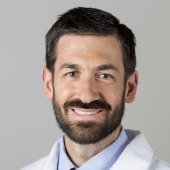 Dr. Timothy Waxweiler is an Assistant Professor of Radiation Oncology at the University of Colorado Colorado Springs. He attended Emory University School of Medicine where he graduated in 2011. He completed his undergraduate degree in Materials Science and Engineering at the University of Michigan. He completed his radiation oncology residency at the University of Colorado Denver. Dr. Ann Raldow is an Assistant Professor in the Department of Radiation Oncology at the David Geffen School of Medicine at UCLA. Dr. Raldow graduated from Princeton University with a Bachelor of Arts degree in molecular biology. She earned her medical degree at the Yale University School of Medicine. After finishing her internship at Memorial Sloan Kettering Cancer Center, Dr. Raldow completed her residency at the Harvard Radiation Oncology Program. Dr. Raldow also obtained a Master of Public Health degree from the Harvard T.H. Chan School of Public Health. Dr. Raldow specializes in the treatment of gastrointestinal malignancies. She has expertise in intensity modulated radiation therapy (IMRT), image guided radiation therapy (IGRT), stereotactic body radiation therapy (SBRT), MRI-guided radiation therapy (MgRT), and other advanced techniques in radiation therapy. Her research focuses on therapeutic decision making, cost-effective care, quality of life, and health outcomes assessment. 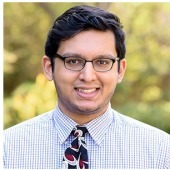 Dr. Ashwin Shinde is a PGY-4 Resident at City of Hope National Medical Center in Duarte, CA. He attended the Drexel University 7-year BS/MD program, completing a research year on novel radioprotectors prior to graduating medical school. He completed an intern year in surgery at Allegheny General Hospital. He subsequently began his radiation oncology residency at City of Hope National Medical Center. 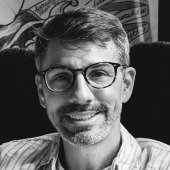 He is interested in comparative effectiveness research and improvement of patient outcomes, primarily in controversial clinical scenarios without effective guidelines to management. biomedical research studying breast cancer at the University of South Dakota, followed by a 2-year fellowship training in ovarian cancer research at University of Washington. Subsequently she earned her MD degree and completed her intern year at the University of South Dakota prior to joining the radiation oncology residency program at Mayo Clinic. Her current clinical research involves breast cancer, GI, and Gyn malignancies. 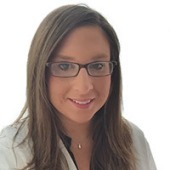 Dr. Kimberly Gergelis is currently a PGY-2 radiation oncology resident at Mayo Clinic in Rochester, MN. She completed her undergraduate education, earning a dual degree in Chemistry and Spanish, at State University of New York at Buffalo. She attended Albert Einstein College of Medicine in Bronx, NY, completing her MD, where she was an AOA inductee. 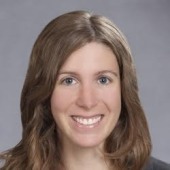 Kimberly completed a preliminary internal medicine year at Stamford Hospital in Stamford, CT. She is active in clinical research at Mayo Clinic, studying trimodal therapy for bladder cancer, breast cancer, and quality of life outcomes after radiotherapy for prostate cancer. Dr. Sameer Desai obtained his M.D. from Yale and completed his Internal Medicine Residency at Harvard’s Beth Israel-Deaconess Medical Center. He practiced as a primary care physician for several years before completing his fellowship in Hematology and Medical Oncology at the University of Michigan. He is board certified in Hematology and Medical Oncology and is a member of the American Society of Clinical Oncology. He joined The Center for Hematology and Oncology in 2007. He was voted Top Docs by New Jersey Monthly 5 years in a row from 2012 to 2016. Dr. Nagla Abdel Karim is Professor of Medicine and leader of the Thoracic Oncology Multi-disciplinary Clinic and the University of Augusta. Additionally she serves as the Medical Director of the Georgia Cancer Center Clinical Trials Program. Her research interests include small cell lung cancer, personalized approach to therapy and phase I clinical trials. She received her medical degree from the University of Cairo. She completed internal medicine residency at Cleveland Clinic Hospitals - Fairview Hospital and hematology and oncology fellowship at University of Cincinnati. Additionally Dr. Karim completed postdoctoral fellowship at the University of Texas MD Anderson Cancer Center and the university of Washington. Dr. Karim is the liaison between the Facebook Hematology and Oncology Women Physician Group and theMednet. Dr. Joseph Maly received his medical education at Temple University in Philadelphia, PA. He completed the rest of his medical training at The Ohio State University in Columbus, OH with a focus during his fellowship training on clinical trial design and translational research. He now practices general oncology in Louisville, KY with a primary interest in hematologic malignancies and the provision of clinical trial opportunities for patients within the community setting. Dr. Jamie McClain grew up in Anderson, SC and graduated from Wofford College in Spartanburg, SC with a major in Biology and a minor in Government. He attended the Medical University of South Carolina in Charleston, SC and completed residency at Greenville Health System/University of South Carolina in Greenville, SC. He became interested in Oncology due the intrigue of a rapidly changing field and the rewards of treating the most grateful group of patients. He is currently in his final year of Hematology/Oncology fellowship at East Carolina University/Vidant Medical Center in Greenville, NC. Upon completion of fellowship, Dr. McClain intends to practice general oncology. 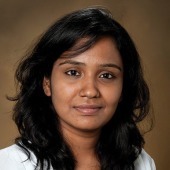 Yazhini Vallatharasu is currently a second year fellow at Gundersen health system, La Crosse, WI. 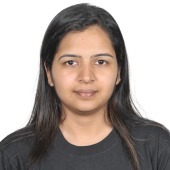 After completing her medical school from Stanley medical college, India she went on to do residency in Internal medicine at Gundersen health system and is currently pursuing a fellowship in Hematology and Oncology. Her interests are in Benign and malginant hematology especially lymphomas, Breast cancer, Gastrointestinal malignancies and Melanoma. Dr. Lauren Lee is a second year Hematology/Oncology fellow at San Antonio Uniformed Services Health Education Consortium (SAUSHEC). She graduated with honors from the University of Florida College of Medicine. She then commissioned into the United States Air Force where she completed her internal medicine residency training at SAUSHEC. She has an interest in academic medicine and served as the Air Force Chief of Residents for the SAUSHEC Internal Medicine Residency Program before starting her Hematology/Oncology fellowship. Her clinical interests include hematologic malignancies with a focus on hematopoietic stem cell transplantation and cellular therapies. 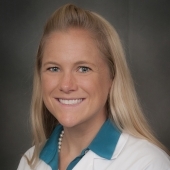 Dr. Melissa Lippitt is currently a gynecologic oncology fellow at Johns Hopkins University. She received her undergraduate degree with a major in biochemistry from Colorado College and earned her MD from Northwestern University Feinberg School of Medicine. She completed her Gynecology & Obstetrics residency at Johns Hopkins and then stayed for her fellowship. She also received her MPH from the Johns Hopkins Bloomberg School of Public Health. Her research interests include early palliative care integration, quality improvement and patient safety and improving patient quality of life. 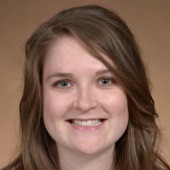 Dr. Tiffany Redfern is currently a first year Gynecologic Oncology fellow at University of Tennessee/West Cancer Center. She graduated from Texas A&M University-Kingsville with a Bachelor of Science in Biomedical Science. Dr. Redfern went on to receive her medical degree as well as complete her Obstetrics and Gynecology residency at the University of Texas Medical Branch. She has a passion for clinical education and patient advocacy. Her research interests include quality improvement, human papillomavirus related cancers, and disparities in women's health.